Do you or someone you know lives in Egypt and holds an account on Facebook, Twitter, or/and other social media platforms with more than 5000 followers? 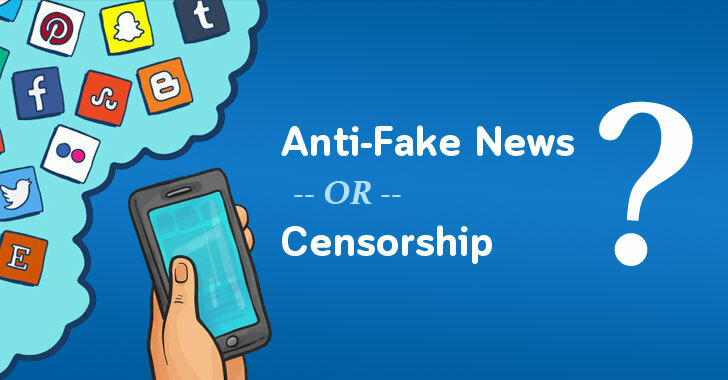 If yes, your account can be censored, suspended and is subject to prosecution for promoting or spreading the fake news through social media platforms. On July 16, the Egyptian parliament approved a new law that classifies a personal social media account, blog or website with more than 5,000 followers as media outlets, allowing the state to block social media accounts and penalize journalists for publishing fake news. Social media networks are no doubt a quick and powerful way to share information and ideas, but not everything shared on Facebook or Twitter is true. Fake news is all around us, and every country is finding its own new ways to tackle this issue. Over the past the year, fake news or misinformation has emerged as a primary issue on social media platforms, seeking to influence millions of people with wrong propaganda and falsehoods. Egypt's media regulator 'Supreme Council for the Administration of the Media' will supervise the new press and media law and take action against those publishing "fake news or incitement to illegal actions, violence or hate," Reuters report. While spreading the fake news is already considered as a crime in Egypt, the new bill just expands the existing crackdown with the inclusion of social media accounts, allowing the state to target internet users more aggressively for statements criticizing the regime. Article 29 had previously stated that journalists could be jailed (more than 30 are currently behind bars) if they're found guilty of inciting hatred, violence, or discrimination through their writings. However, the new law reads that "no penalty shall be imposed for offences committed through publication or publicity except" in cases of incitement, ensuring that journalists wouldn't be indiscriminately arrested by the authorities unless a crime is proven. The new bill will also prohibit the establishment of sites without obtaining a license from the Supreme Council and will allow the council to suspend or block existing websites, or impose fines on editors. The law, passed on Sunday by two-thirds of MPs, will take effect after it is ratified by Egypt's President Abdel Fattah al-Sisi, and it is highly likely to be passed as such laws are often inspired by his government. Since Sisi came to power in 2014, Egyptian authorities have jailed tens of thousands of journalists, prominent bloggers, and activists, for protesting against his rule. The authorities have even censored hundreds of websites, including independent media like Mada Masr and rights groups like Human Rights Watch, claiming such sites supported "terrorism" or reported "false news." Critics say the new law will increase the Egyptian authorities' ability to crack down on freedom of speech and disagreement. When it comes to freedom of expression, Egypt ranks 161st out of 180 countries on the World Press Freedom Index compiled by Reporters Without Borders (RSF). Besides Egypt, Malaysia also passed an Anti-Fake News Act, earlier this year, that criminalizes the spread of fake news with a fine of up to 500,000 ringgit ($123,000) and a prison sentence of up to six years. After less than three weeks of the law in action, Malaysia even charged an individual for violating the law by spreading fake news and fined 10,000 ringgit (approximately $2,550) or one-month jail sentence instead. Just recently, WhatsApp has also said it will limit message forwarding to curb the spread of false information on its platform, following a spate of mob violence and lynchings in India caused by messages containing misinformation circulated on WhatsApp groups. While the company launched "a test to limit forwarding that will apply to everyone using WhatsApp," the forwarding option for Indian users will be limited even further—a single user would be able to forward one message only five times.